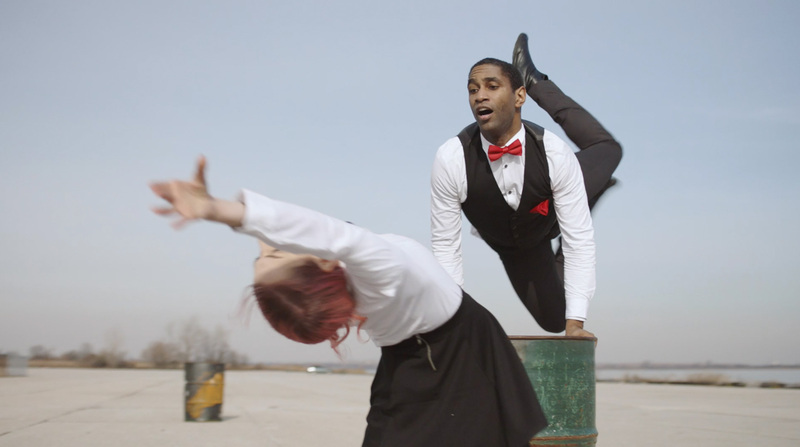 Expressed wordlessly through dance, Branden Kramer’s Collision takes the familiar fallout of emotions which erupt from a love triangle and plays them out wordlessly through an expressive match-cut dance sequence that jumps between several locations, including a night time rooftop and plane fuselage. Branden tells DN how he navigated weather, permits and ever tight deadlines for his choreographed story of embattled lovers. The initial concept started because I wanted to tell a story without any dialogue and have the passion come through in dance and body language. So it led to a simple love triangle – between two waiters and an old flame that was attending this gala type dinner. My DP Vadim Aynbinder and I thought it out together and decided to make all three of them waiters to simplify the story. We were short on time and locations so we had to make more out of less. We scouted locations for a while because we wanted the right feel – a kind of surreal fantasy vibe, to imply how love and lust can alter our point of view of the world. We initially had more of these beautiful, charming locations, but ultimately had to narrow down because of schedules, weather, and location permits. Not enough time for many company moves. 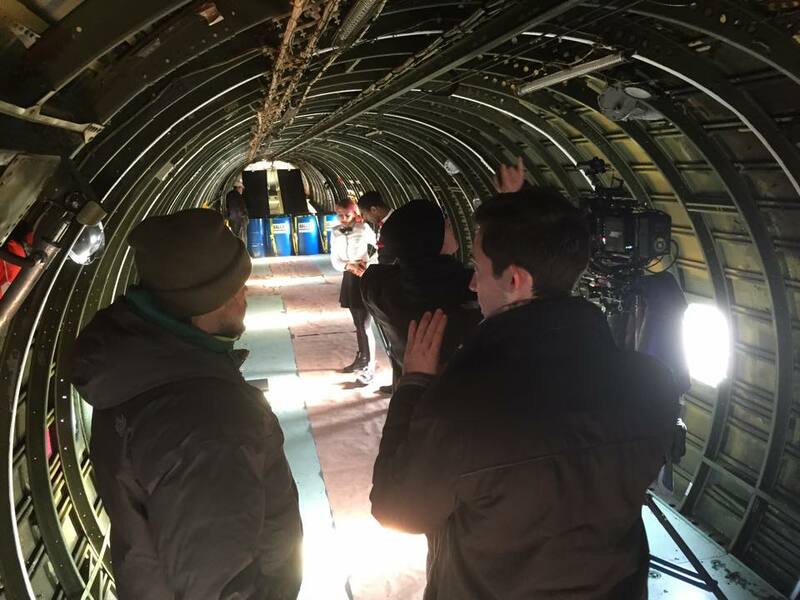 We had two days to shoot – but these weren’t even full days. While casting to find the right dancers, we got lucky and found James Pierce III, who was able to choreograph most of the piece. We talked through the loose narrative and James did an incredible job of translating that into choreography. We only had time for three rehearsals to get the full piece down and they made it happen. We were short on time and locations so we had to make more out of less. For the shooting style, we knew we wanted a fluid look, to match the movement and energy of the dancers. We didn’t have time for many complicated camera set-ups, so we brought on a great Steadicam Operator, Dave Isner. He had the right experience and instinct to capture the harmony of the dancers – who had full freedom to use the space and adapt the choreography to the location. This was clutch because after shooting what we needed, the dancers could improvise for a take – and this was great to have in the editing room. We rented an Alexa Mini with Cooke Mini S4 lenses and shot in 4K. For lighting, since we were moving so much, we took advantage of natural light for most of it. This allowed the camera to swing around without restraint. And since we didn’t need to record sound on set, that was one less factor we didn’t have to worry about. For the interior red room, we lit it with a small light package and gels. We also had a small Dana Dolly on elevated 4-foot long rails which continued our smooth movement style. When it came time for editing, we had the opportunity to work with Craig Holzer. He brought out the match-cuts I was hoping for and found fresh ways to edit to the rhythm. He did a great job of amping up the energy and cutting to the tempo. Craig was an integral addition to the team and this was a really important step of the process. You can find more of Branden’s work at brandenkramer.com.